During high school, Brian Tevlin signed up for the Be The Match national donor registry in honor of his best friend’s mom. 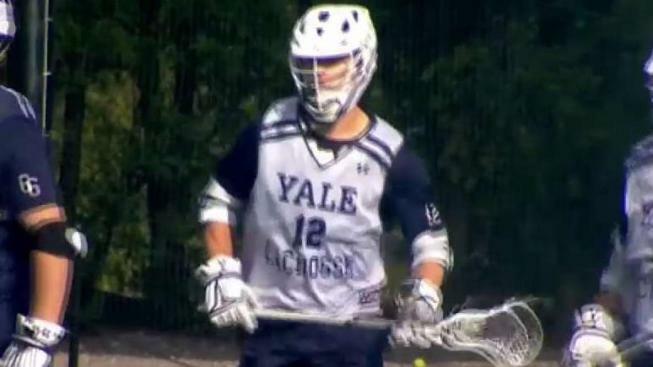 Yale Lacrosse player Brian Tevlin found out he was a bone marrow match for a stranger in need and didn't hesitate to help save that person's life. As a freshman, Brian Tevlin won a national championship with the Yale men’s lacrosse team. This year he missed time with his teammates in order to donate bone marrow to a man in need. “It’s definitely something that surpasses one or two lacrosse games when you start talking about saving a life,” Tevlin told NBC Connecticut before practice Thursday afternoon. During high school, Tevlin signed up for the Be The Match national donor registry in honor of his best friend’s mom. Right before the start of his second season with the Yale men’s lacrosse team, Tevlin learned he was the perfect match for a man in his 50s needing a bone marrow transplant. Tevlin said both his coach and teammates have been supportive of his decision. “My initial reaction was it’s a no brainer, I think you have to do it,” Yale head coach Andy Shay said. Tevlin had surgery on March 20 in his home state of New Jersey. “They do two holes on each side and they go in right with a needle and go right into your pelvis and take the bone marrow,” he said. The expected recovery was 21 days, but the midfielder only missed two games in the week after the procedure. The Bulldogs won at Princeton and back home against Air Force. In his first game back this past Saturday, Tevlin had two assists in a tough triple overtime loss at Penn. Tevlin hopes his story inspires others. “It’s something that everyone should be on, something that everyone should strive to sign up for and it’s been a blessing that I was chosen,” he said. Yale students get the chance to sign up soon. The annual Mandi Schwartz Marrow Donor Registration Drive is on April 18th. It is in memory of a Yale women’s hockey player who inspired people to register during her courageous battle with leukemia.